A third person charged in a shooting during a drug transaction at Urbana University last fall pleaded guilty to two felony charges Friday in the Champaign County Common Pleas Court. Ryon W. Lucas, 21, pleaded guilty to one count each of tampering with evidence and robbery, both third-degree felonies, during a final pretrial hearing. Lucas is the third person indicted in the case to plead guilty to charges related to a Nov. 6, 2018, incident on campus. On that date, Hunter Donnan, Brandon J. Craft and Ryon M. Rowland went to Urbana University with the intent to sell marijuana to Lucas, an Urbana University student. An investigation by the Urbana Police Division found Lucas and Dioro C. Geroski intended to steal the drugs from the men. During the transaction in a dorm room, Geroski brandished a handgun and struck Donnan in the head with the gun. 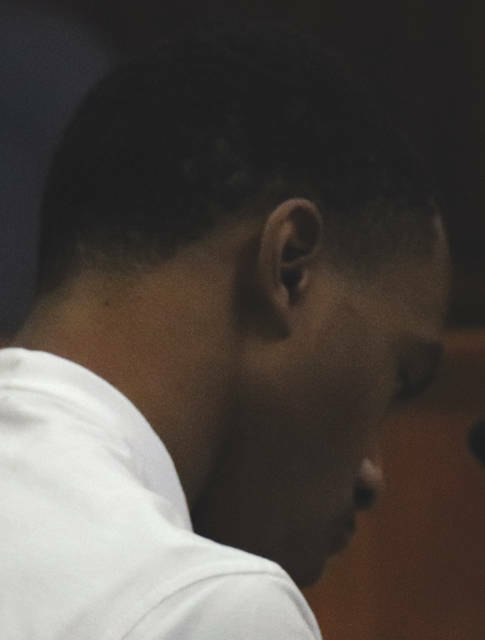 During Friday’s hearing, Champaign County Prosecutor Kevin Talebi noted as the parties fled the dorm, Lucas carried some of the marijuana that was intended to be sold with him. Talebi said the drugs were discarded and a portion of the drugs was recovered. As part of his guilty plea, two counts of felonious assault and aggravated robbery were dismissed against Lucas. He faces a potential maximum consecutive sentence of 72 months in prison and a $20,000 fine. On Tuesday, Craft, 18, pleaded guilty to one count each of trafficking in marijuana with a specification for forfeiture of property and carrying a concealed weapon. No sentencing date has been scheduled in these three cases as Judge Nick Selvaggio reiterated Friday the court desires to learn more about the case and the culpability of the co-defendants so the court can assess sentencing in an appropriately proportional manner. While a final pretrial hearing for Rowland was scheduled for Wednesday, the hearing was postponed to April 9 after a motion seeking to continue the hearing was filed. Rowland, 20, is charged with one count of trafficking in marijuana with one-year and three-year firearm specifications. Talebi stated Friday that Geroski has not been apprehended. Geroski, 23, is charged with two counts of felonious assault with one-year and three-year firearm specifications and aggravated robbery with one-year and three-year firearm specifications.